I’m sort of in a bit of Christmas denial at the moment. Having a holiday in October has thrown me off somewhat and even though there’s only 5 weeks until Christmas, I’m still not in that feeling the festive spirit – yet. That being said, as a beauty addict (send help!) – this time of year is one of the best for me, with lots of glamorous goodies available to buy. Christmas is actually one of the best times to buy beauty products, as gift sets and special collections offer better value for money than the rest of the year. So whether you’re a beauty addict shopping for yourself, or a thoughtful individual looking to surprise the beauty junkie in your life – let me offer you my Christmas gift guide to give you an idea of what to buy this year. Ok so £85 sounds like a lot for some lipsticks – but for MAC lipstick lovers, this is the only way you’ll get your hands on MAC’s most iconic shades in one go. Plus, look at that packaging!!! Many of my favourites are there, including Please Me, Ruby Woo and Velvet Teddy and they’re a great size for slotting into your handbag. The only reason I haven’t picked this up for myself is that I have nine (yes, I’m an addict ok) of these colours already and I’m trying to be good! Keep an eye out for discount days coming up for Black Friday at John Lewis, Debenhams, Look Fantastic and House of Fraser as you’ll likely be able to save 10-15% off this. If you’re looking for something a bit more budget friendly, take a look at Snow Ball Pigment and Glitter Kit in Gold. With a to-die-for sequin rose gold bag and three of MAC’s best pigment shades – this is a set worth having. Pigments are great and are often forgotten about – they can be used on their own as highlighters or eyeshadow or built on top of other products to really make them pop. You might have seen this beauty several times on my Instagram feed, and for good reason. 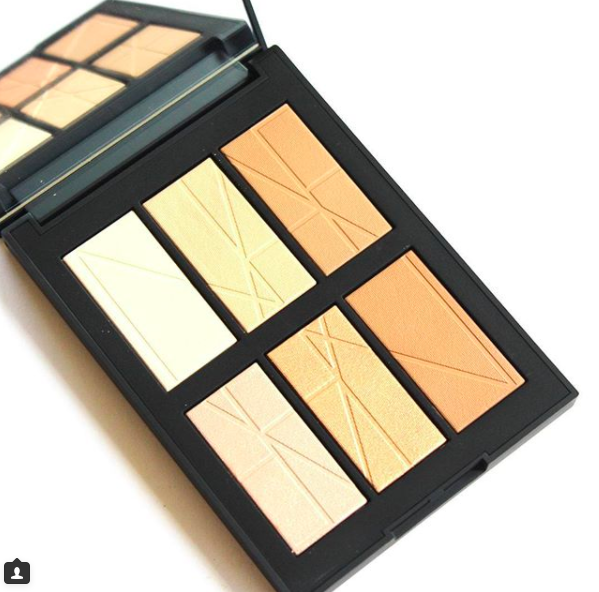 It’s a fantastic palette for highlighters, and looks more luxury than some of the others available at the moment – making it a must for Christmas. It features four amazing highlighter shades plus two bronzers (including the amazing Laguna, my bronzer for life). It’s a decent size to take in your handbag for a night out, and if you’re planning any holidays for next year – this will be a godsend. 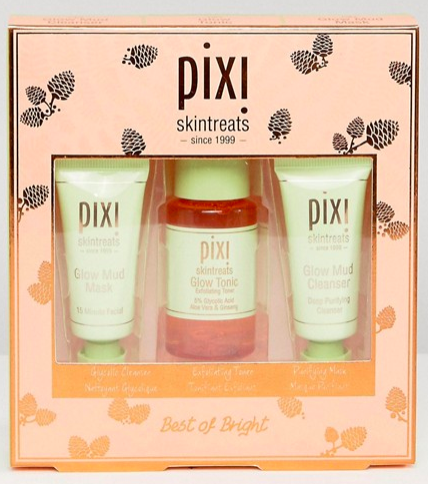 Pixi Glow Tonic is something that regularly features in my skincare posts, and it’s still a must-have for me. The entire ‘Glow’ range of products is designed to leave your skin looking clean, refreshed and glowing – and that’s exactly what they do. This little starter kit is a great introduction, and perfect for someone who needs a bit of pampering. Pick it up at ASOS, House of Fraser and Look Fantastic and leave someone glowing this Christmas. Know a Mean Girls fan? Or just someone who loves looking ‘fetch?’ This kit makes the perfect gift. The girls have outdone themselves with their collection inspired by the film, and there are even some Burn Books available! 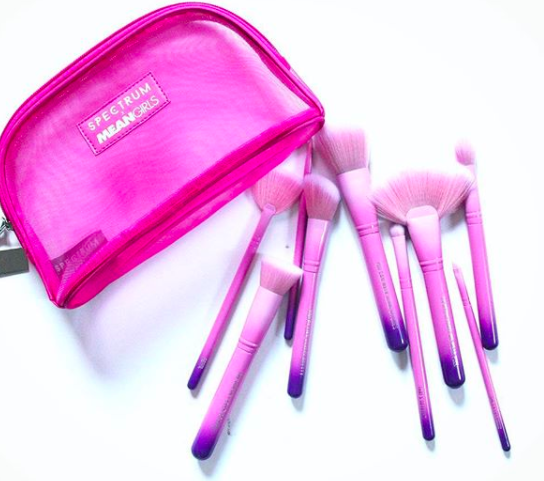 Brightly coloured and perfect on any dressing table, these are a fun and fabulous gift to give to a beauty lover. 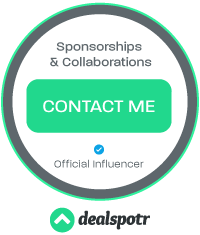 Check out my full review of them here. 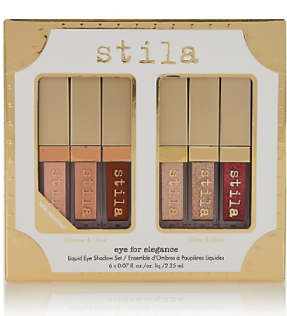 I did a review of the Stila Magnificent Metals a few months ago, and I’m so happy to see this set out for Christmas. The set features 6 minis in standard and glitter shades, which are perfect for the festive season. Each standard shade has a glitter partner to allow you to create bold, beautiful and brilliant looks for Christmas that will last and last. These shades are really wearable and they’ll be a nice surprise for someone to open on Christmas Day. And there you have it! These are my top five Christmas gift for 2017, ideal for beauty lovers or someone who needs to top up their collection. Keep an eye out on my Instagram over the coming weeks as I’m sure there’ll be several others hitting my feed! What beauty favourites are on your Christmas list?